That year Breitling, one of the first brands to offer a wrist chronograph, introduced an innovation for chronographs by creating a pushpiece independent of the crown to control the three chronograph operations. To ensure an ergonomic handling, Breitling chose to place the pushpiece at 2 o’clock, where the thumb or forefinger naturally rests, whether the watch is on the wrist or held in the palm of the hand. 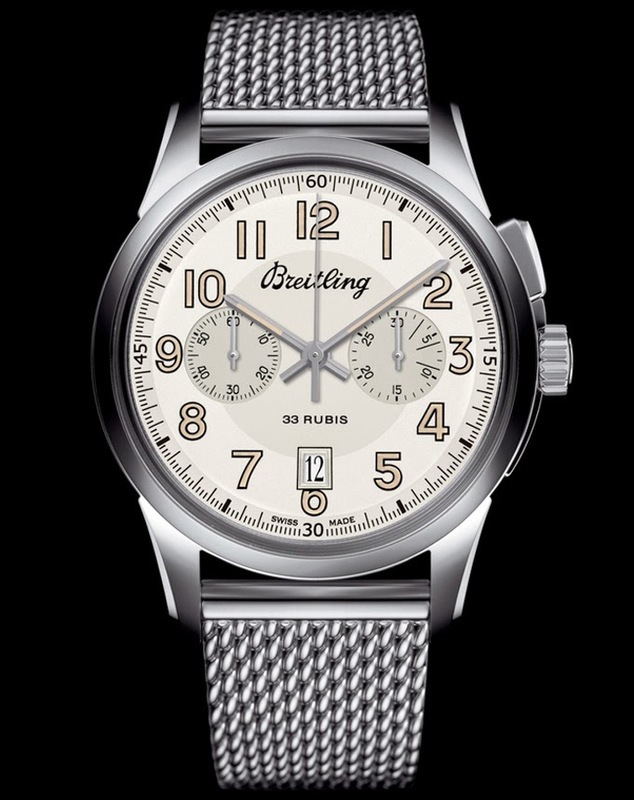 To celebrate this major milestone in its history, Breitling has created a special edition: the Transocean Chronograph 1915. The 43 mm steel case - offering water resistance to 100 meters / 330 feet - maintains the design of the Transocean collection with the chronograph pushpiece at 2 o’clock. In order to offer a single pushpiece that successively handles the start, stop and zero-reset functions, Breitling had to develop a new hand-wound movement, the chronometer-certified Breitling Caliber B14, equipped with a two-tiered double column-wheel system activated by chronograph controls also arranged on two levels. A patent has been filed for this construction approach. 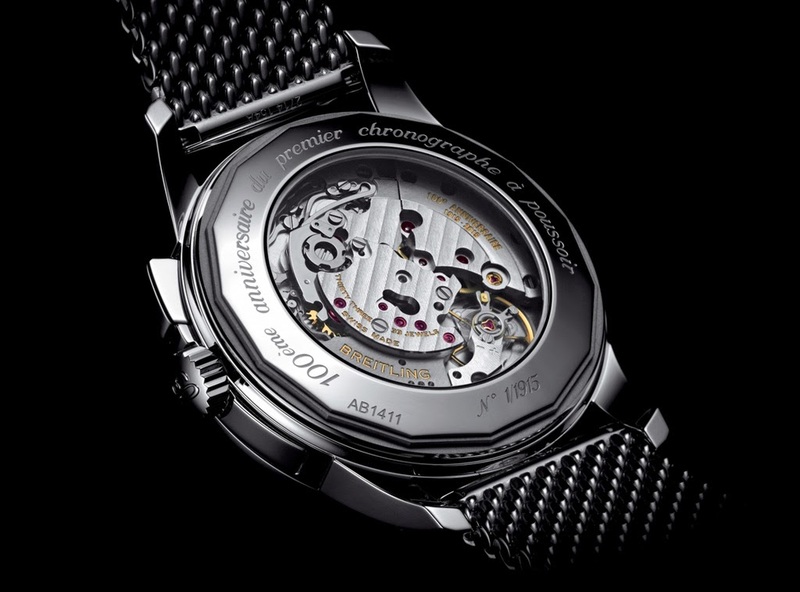 The 4Hz (28,800 vph) movement is visible through the sapphire case back and guarantees a power reserve of 70 hours. The twin-zone silvered dial with small seconds and 30-minute counter is adorned with large Arabic numerals and baton-type hands accentuated by a luminescent coating. 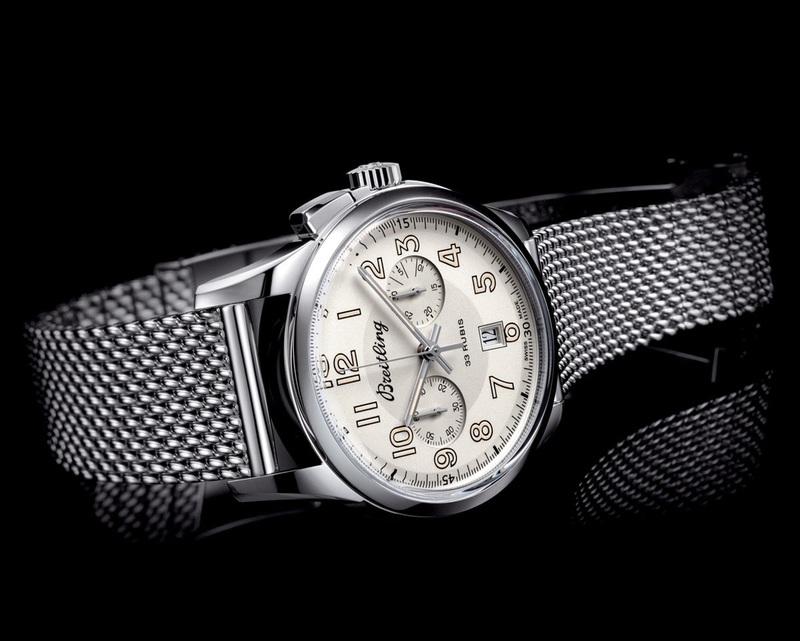 The vintage touch is emphasised by the historical Breitling signature and the steel mesh bracelet. 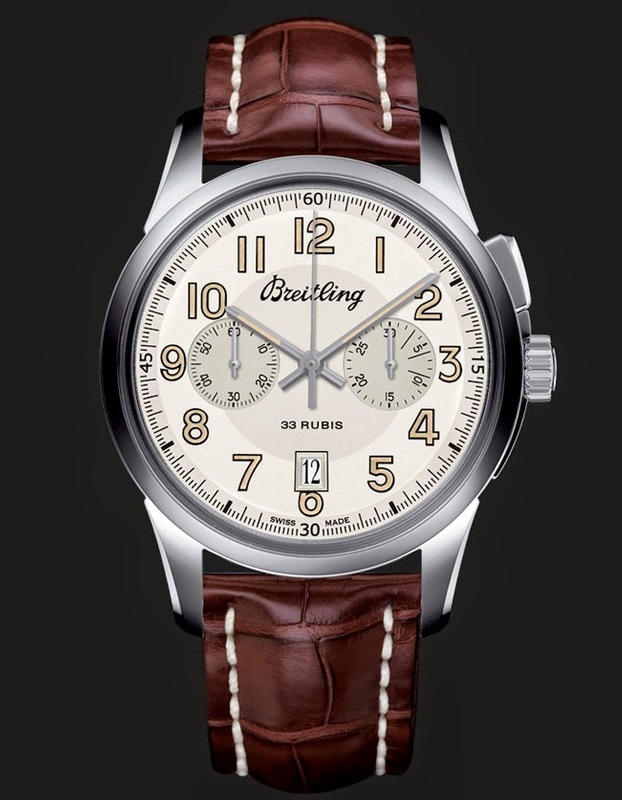 Baselworld 2015: Breitling Transocean Chronograph 1915. To celebrate the invention of a chronograph pushpiece independent of the crown to control the three chronograph operations, Breitling has created a special edition: the Transocean Chronograph 1915. 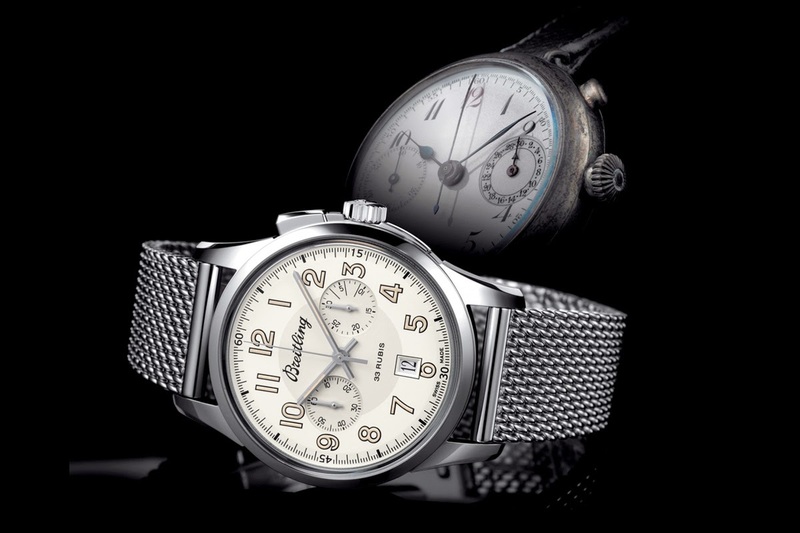 The Breitling Transocean Chronograph 1915 model is issued in a limited series of 1,915.